Maura likes to rock out to post-grunge music. Linda always eats a good breakfast, which is likely to include sweet potatoes. Joy likes to start her race day by waking up early so she can stretch and foam roll while mentally preparing herself. Breakfast: oatmeal loaded with peanut or almond butter, chia seeds, and honey — but only half of it typically gets consumed due to pre-race loss-of-appetite. Pre-riding the course (sometimes twice) is a must for Joy before races. She’ll munch some last electrolytes and energy shots before commencing her off-the-bike warm up routine, which typically consists of jumping jacks, squats, and lunges combined with some personal mental prep time. Before Joy’s first ever bike race, she picked up a bracelet made of Green Aventurine stone beads. The name seemed to fit because it sounded like “adventuring” and she was about to embark on new adventures. Later, she learned that it’s the “stone of opportunity” and can bring good luck and increases favor, especially in competition. Perfect! Joy wore the bracelet during every cyclocross race in her first season. Like Joy, Tara has a lucky set of bling… earrings! She also never leaves home without her lucky pair of socks. Make-up? A big no-no after crashing in a criterium during her first season of racing while wearing make-up. Laura preps herself and her gear the night before, since she knows she is NOT a morning person. She will get dressed, eat her morning porridge, and crawl back into bed until she absolutely has to get up. Her favorite trainer warm-up tune is “Bossy” by Keli. After checking out the other riders’ serene meditative pre-race state, she heads to the start line, sheds some layers, slams a gel, and asks herself “why am I doing this?” until it’s BAM! GO time! 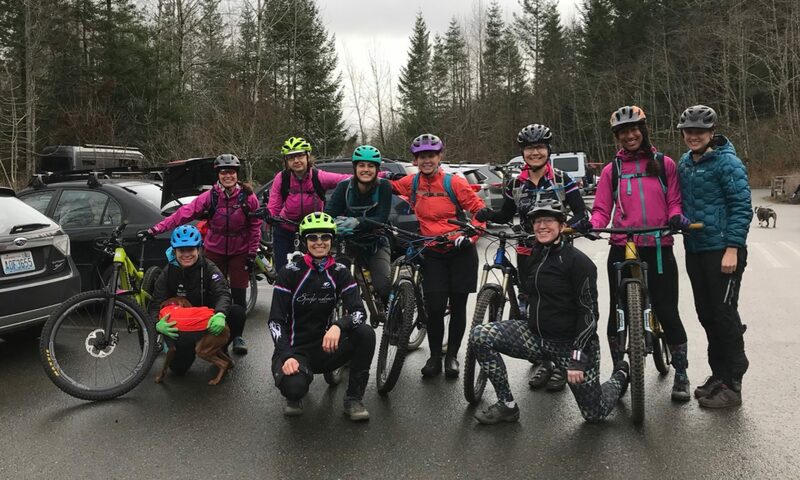 Happy Riding and Racing from Spokeswomen Racing! A wet February team ride at Tiger!